Caregivers and adult children of aging seniors often have to discuss a number of difficult, delicate and uncomfortable topics. Whether these topics include discussions on death and dying, finances or personal care, there are many topics that can be uncomfortable for all involved. However, one of the most delicate, yet most common discussions for adult children to have with their aging parents has to do with personal hygiene. Personal hygiene issues are some of the most common reasons that seniors tend to lose their independence, and it may also be one of the first things that friends and family members notice changing in their senior loved as they continue to age. Perhaps your loved one no longer does their hair or makeup, or you have noticed they haven’t showered regularly or that they are repeatedly wearing the same clothes. Either way, when issues like this start to arise, it is a good indicator that your loved one is struggling to maintain their own personal hygiene. This is a serious matter, as personal hygiene issues are directly related to your loved one’s help. This is why it is important to take the time to sit down and discuss the issue with your loved one. Approach the topic in a calm, understanding manner, but try not to be patronizing. You don’t want your loved one to feel embarrassed or belittled with this conversation. Don’t be accusatory or make them feel incompetent. It is important to let them know that you have noticed some changes and that you want to help. Some seniors are aware that they are struggling to maintain their personal hygiene. They may have physical challenges that make it hard to take care of themselves. They may welcome help and be accepting of the situation. However, not all seniors are like this. Some seniors may be in denial of the issue or unaware something is going on. Finding the cause for your loved one’s hygiene challenges is extremely important. 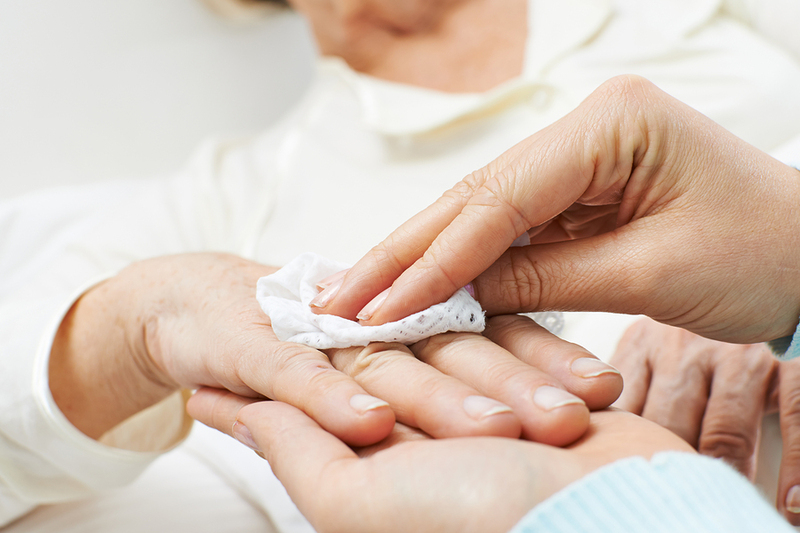 Seniors who are unaware that their personal hygiene is faltering may have a more serious issue happening. Many times, seniors with dementia, memory loss and other similar cognitive concerns struggle to maintain daily routines like showering and changing clothes, but are completely unaware of these struggles. This is a huge red flag and something that should be addressed immediately. There are a number of issues that can be causing these personal hygiene problems including depression, anxiety, memory loss or sensory decline. What is important is that seniors who are struggling with these hygiene issues are getting help from their family. One of the biggest things you can do during when discussing personal hygiene with your loved one is to make sure that you offer them a solution to help with their hygiene challenges. This can be offering assistance yourself, coordinating an in home caregiver to come in and help with bathing or trying to help your loved one get professional care in an assisted living community. No matter what solution fits with your loved one’s situation, it is important that you are able to step up, step in and make sure they get the help they need.